Are you doing beautiful Pink & White Sculptured Nails that Keep Your Clients Coming Back? Are you making enough money? Whenever anyone complains about not being able to build a clientele; it is directly related to their nails first. Have you or anyone you know been trying to build a nail business for more than 6 months, but are not yet booked solid? Do advertisements bring business in; but the clients do not return? If your business is not growing stronger and busier everyday; you have nothing to lose and everything to gain by learning how to perfect your Pink & White Sculptured Nails. If your way has not, quickly shown growth; returning clients and positive feedback like: “My nails never looked this good before and I can’t wait to tell my friends”; then why not try the Tammy Taylor way? Stop resisting, and try not to blame it on something else. Look at the quality of your nails first. Are you serious about wanting to build a clientele and making more money? If so; you need to change the way you are going about it. Tammy is a Licensed Nail technician and has been teaching Nail Technicians for over 26 years. Her Company offers you everything you need to be a “Nail Specialist”, and to be Booked Solid. Tammy Taylor, every week writes a Newsletter with articles to help you make more Money by improving your Business skills, and your Nail skills. 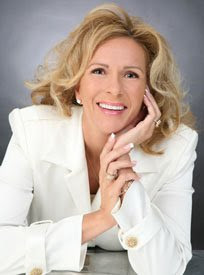 You will be assigned your own personal Company educator trained by Tammy Taylor herself. You will qualify to get New Clients with our referral program for Tammy Taylor Nail Technicians. With all of the thousands of requests we have received and are receiving daily, from consumers looking for Nail Technicians using Tammy Taylor Nails products, we need more Tammy Taylor Nail Technicians to help meet these demands. When you receive just your first REFERRAL for a client who wants to have Tammy Taylor Pink & White Acrylic Nails done you could make up to $700.00 a year Profit on that one client. You can attend Fabulous nail classes taught by highly trained and devoted Tammy Taylor Nail Educators. You will be using the highest quality products tested and developed by Tammy Taylor herself. You will only be a phone call away, to being assigned your own personal educator, placing orders or to ask questions. You have access to the most amazing web site in the whole nail industry, available at your fingertips, 24 hours a day. Tammy Taylor Acrylic Nail Product does not get brittle or crystallize. The chemical bond between the Tammy Taylor Acrylic and the Tammy Taylor Primer create adhesion so Tammy Taylor Nails do not lift. The Tammy Taylor Nail Liquid and the Nail Powder have cross linkers that weave together to form tremendous strength to eliminate breaking. The Tammy Taylor Acrylic resists yellowing because of the added UVA and UVB inhibitors. Tammy Taylor Acrylic Nails have a hard surface which means they will resist staining and are easier to file.